The Community Partners Reinvestment Project (CPR) is a collaborative transition program that increases public safety by meeting the unique developmental and transitional needs of for young men ages 18 to 25 who are returning to the community after incarceration. The mission is to provide guidance and comprehensive support to the men and their families enrolled in the program and to facilitate a successful re-entry back into society. The program works to reduce the rate of relapse and recidivism, increase the rate of job retention, and improve the quality of life while enhancing the safety of our neighborhoods and our communities. The CPR team is comprised of a dedicated and passionate group of people. The CPR program approach is a collaborative team effort that attempts to encompass and assist with multiple facets of the clients’ lives, including client-motivated behavioral changes, reducing criminal thinking, returning to school, employment, housing, family relations and parenting issues, assistance with resources and more. Mentors play a vital role in the program. Our mentors have experienced first-hand many of the challenges facing our clients. Their ability to genuinely relate to the clients and provide insight as well as be a positive role model are invaluable. 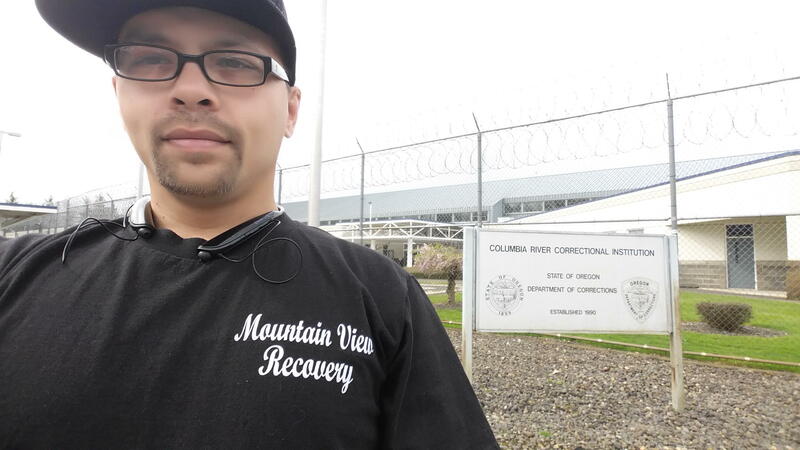 Click here to see a recent program graduate Isaiah Holt tell his story. “Hello, my name is Jeremiah and I am an addict. From the age of 15 to the age of 28 I was in my active addiction. I spent those 13 years homeless in downtown Portland doing and dealing methamphetamine. The only time I wasn't homeless was when I was in jail, prison or treatment. I have participated in dozens of programs, including Volunteers of America's Community Partners Reinvestment Program. Out of all the programs, CPRP was by far the most helpful to me. They are the only ones that made me feel like they cared. I feel as if they stood behind me and even next to me throughout my journey, instead of opposite me trying to block my progress. They helped me overcome all the obstacles I faced, coming from where I come from. They still help me to this day and I graduated almost 2 years ago. 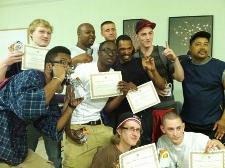 See the Portland Skanner article on CPR's success in reducing recidivism. See the Portland Mercury article on what CPR is doing to reduce gang violence---by providing gang affected young men with culturally specific alternatives and comprehensive services. GIFT (Gang Impacted Family Team) and HEAT (Habilitation, Empowerment, Accountability, Therapy) are programs under CPR that work with the Portland gang community, including affected family members. GIFT/HEAT is culturally-specific and works with and educates young men to address their criminogenic lifestyle and how the choices they make impact not just themselves, but their families and their communities. In June 2017, we celebrated our first HEAT graduation. HEAT is a new program in the Portland area that empowers young men trying to break the cycle of violence by exploring and addressing four areas: Habilitation, Empowerment, Accountability, and Therapy. 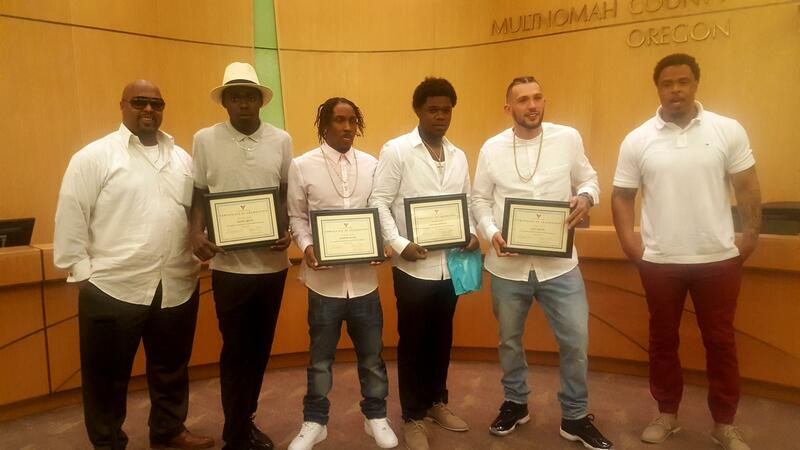 The HEAT team worked closely with these recent graduates and Multnomah County, including parole officers, to empower these young men in their hopes for the future. We are very proud of them and their accomplishments. For additional information on the Community Partners Reinvestment Program, please email Julia Mines at jmines@voaor.org or phone (503) 595-3477 ext. 1789.